Craft day is always fun, especially when Grandma is involved. 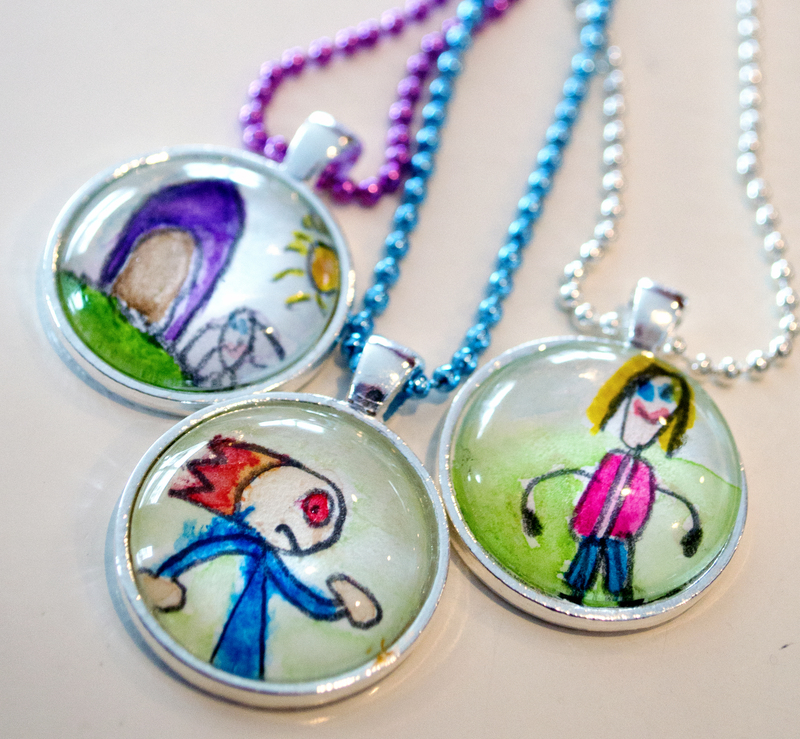 She researched ways to create cabochon/pendant necklaces, purchased all the supplies, and set up the creative day for her grandchildren to attend. I suggested that my kids draw a picture which I’d watercolor. Of all the necklaces they created, these were my favorites! My daughter drew a doghouse with her puppy basking in the son. She also drew a self-portrait. My son drew a hero character with red eyes and fiery hair. These are keepsakes for sure!